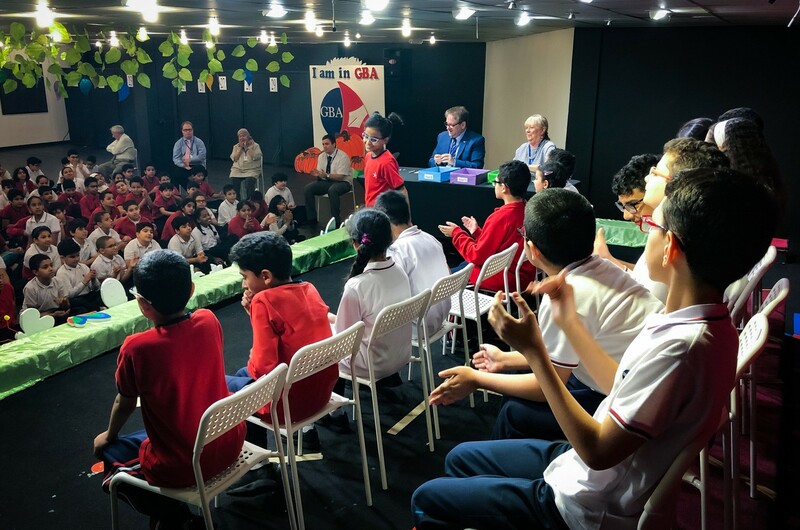 Spelling Bee 2018: Who won inaugural KS2 contest? 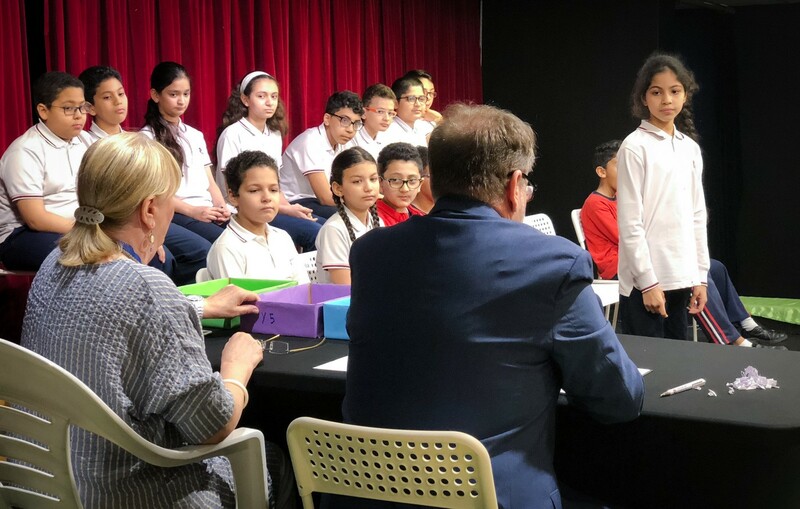 Gulf British Academy held its first ever Spelling Bee last week – the climax to hours spent memorising and practising a collection of 100 words, set per year, for pupils across Key Stage 2 (Years 4, 5 and 6). Ever since Mr Mark announced the competition three weeks ago, the atmosphere around the Key Stage 2 corridors has been palpable. 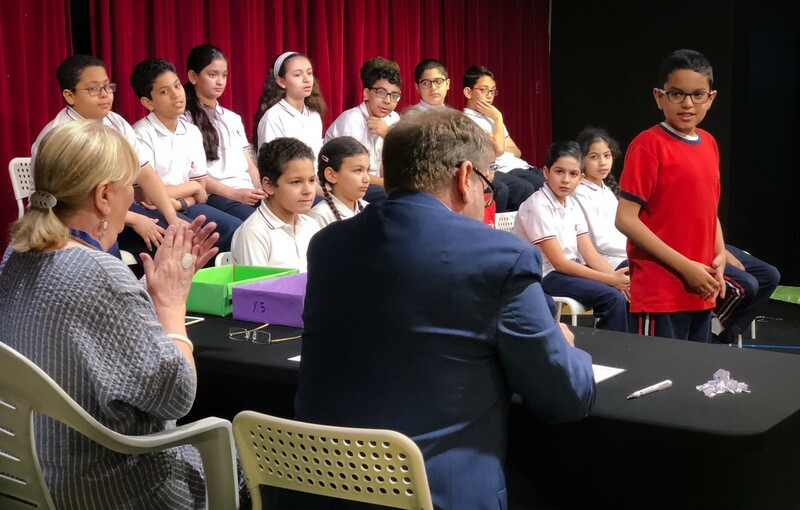 Heats comprising a 30-word written spelling test were conducted in the classrooms the week before the event and the mood was one of concentration and deliberation. Classes were quiet except for the teachers reading out the words. Then came the marking! Every pupil sat with their fingers crossed as their teacher marked their work. The top five pupils moved on to the second round. Round 2 required the winners to spell out loud 20 words chosen by their teacher in front of the class. 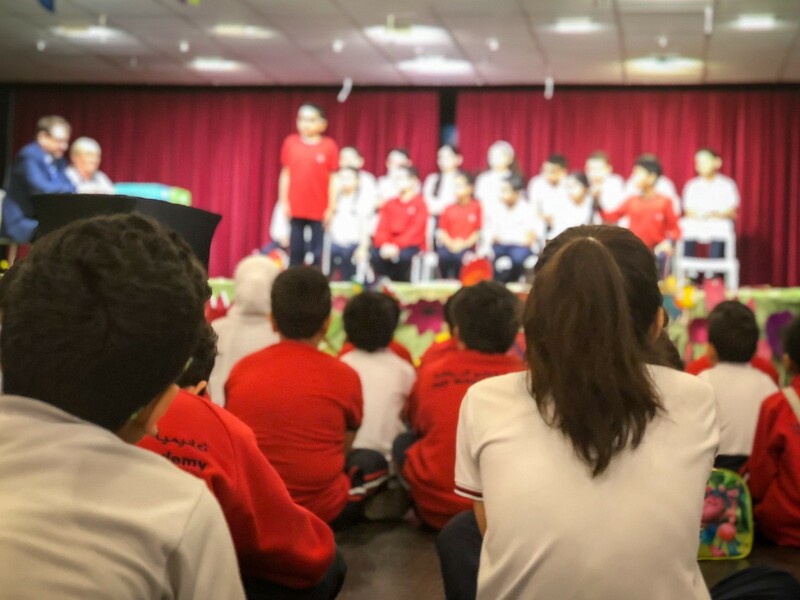 All the children tried their best, but some didn’t make it due to nerves. The two top performers were entered into the Grand Final, held in front of the rest of Key Stage 2. 12th April 2018 – the day of the Grand Final. Everyone was talking about the competition. Who was competing? Who would win? At 09:45, classes moved down to the hall while the competitors behind the curtain waited for their moment of glory. Then the competition began. Miss Norma passed Mr. Mark the first word and it was spelt correctly. 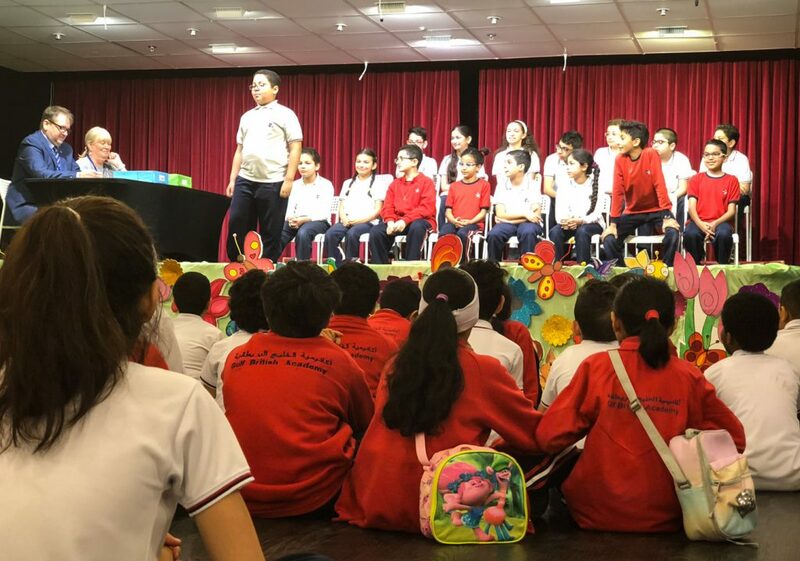 Cheers rang out as classmate after classmate continued to give the correct spellings. No one wanted to be the first to make a mistake. Then it happened! A letter had been left out and the first pupil was out! One by one the students started to be eliminated until there were only three left. Who would be 1st, 2nd and 3rd? Jana made the first mistake, so Hamza and Talia remained to battle it out. Word after word was spelt correctly. Nothing could separate them. Then it happened! Talia spelt a word incorrectly. Winners (left to right): Hamza, Talia and Jana. So Hamza just needed to complete his final word. It was called out and immediately Hamza smiled. He knew it! Slowly he spelt it out. Everyone erupted with a roar when he finished and was told it was correct. Hamza had won! A huge well done to all three winners and to everyone who took part in each round. 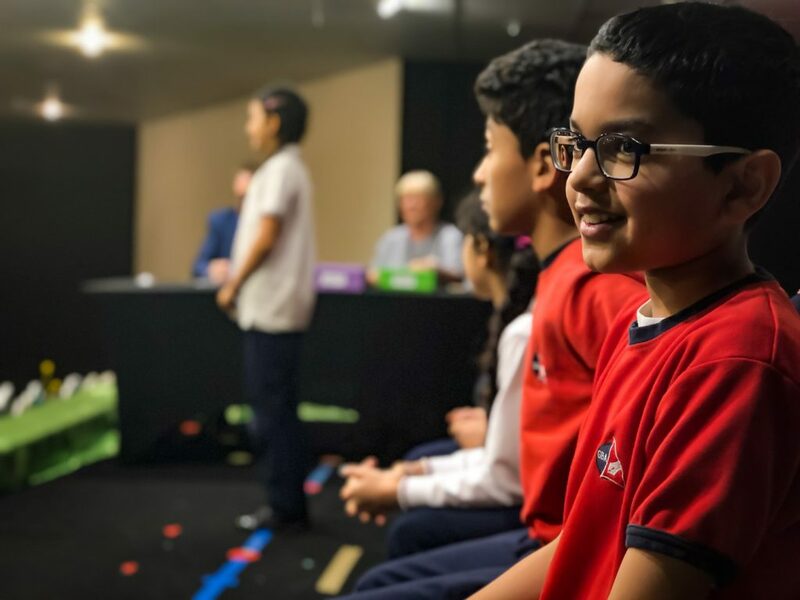 Spelling Bee 2018 has been a great success and we can’t wait for next year’s competition.